A very comfortable and soft t shirt which can be worn on its own or as an underlayer. After wearing bamboo t shirts you will not want to wear anything else! The T-shirt is made from 70% bamboo viscose and 30% organic cotton. Fabric made from bamboo viscose is incredibly soft, smooth and comfortable, and yet at the same time, durable and easy to care for. It quickly absorbs and evaporates moisture; it is highly breathable and cool in hot weather and keeps you warmer in the cold. Bamboo is antibacterial, so it stays fresher and odour free for longer. The fabric used for our bamboo t shirt is a sustainable and natural material. Tha's because bamboo is a fast growing plant and requires no pesticides. 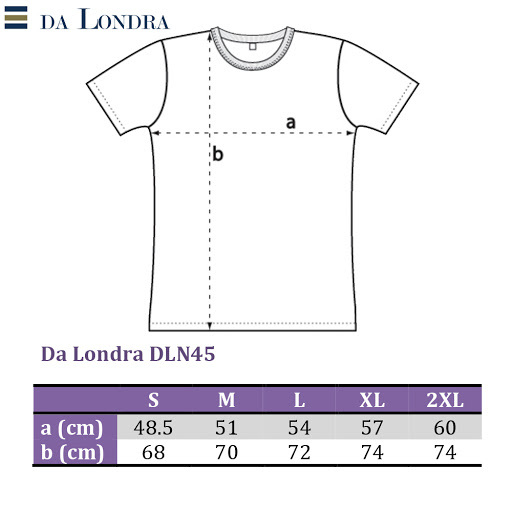 The type of Bamboo used in this Da Londra T-shirt is called Moso and can grow up to 20 metres in just 45-60 days. What’s more, bamboo regenerates itself after harvesting and, as it grows in tropical areas with natural rainfall, it needs no extra irrigation. Also check out our other Da Londra Bamboo T Shirts.